I absolutely love blogging. It’s a great way to get free traffic to your website and it’s incredibly easy to do! Thanks to the internet, you can share your thoughts and expertise with a global audience. If you have a hobby, a blog can serve as a diary for new developments and knowledge, allow you to gain feedback from like-minded contributors, and increase your social and business networking reach. The best thing about it is that you don’t need any technical expertise to get started. There are many free options on the internet that will allow you to start, build, and host your own blog for free. Listed below are four popular options. Created in 2005 by San Francisco-based Automattic.com to expand upon its open source platform success, WordPress.com is the hosted version of its popular software. Over sixty million people swear by their WordPress blog, and with good reason. It is a breeze to set up, offers many themes (a set of files that give your blog a specific graphical look), and its platform is known for its flexibility. Plus, like other free blogging services, WordPress takes care of hosting for you. Getting started with WordPress.com is as simple as entering your desired new blog address on the home page, and pressing the blue ‘Create Website’ button. Assuming that your preferred name is not already taken. Sidenote: Though this article is looking at free blogging themes, if you are interested in making money online then I highly recommend self-hosting your own WordPress blog which offers you more control and flexibility over your blog. Google’s Blogger.com may be the most popular blogging platform on the World Wide Web. If you already have a Google account, (e.g. Gmail, YouTube, Adsense), you can start a blogger blog right from your existing account. Just log in, enter a unique display name, and accept Blogger’s Terms of Service. After that you will have to pick an address (URL) and a blog title (be sure to pick a name that reflects your personal brand or is a benefit driven domain name). Next, choose your favorite blog template (similar to the WordPress theme). 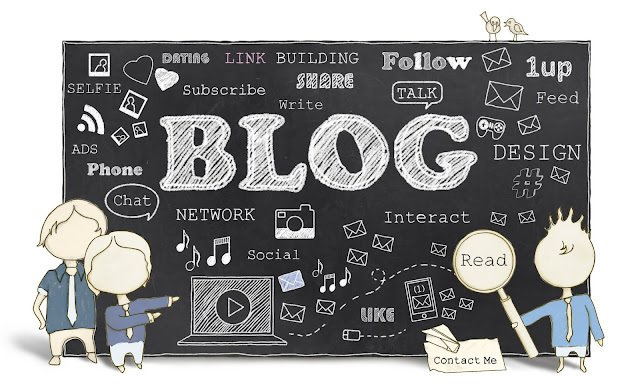 Finally, click the ‘Create a Blog’ link and get started! Blogger allows you to get creative with your blog’s public look. The ‘Getting Started’ guide has several videos and help material to ease you into fun (and free) blogging! Medium.com is the free blog publishing platform founded in August 2012 by Twitter co-founders Evan Williams and Biz Stone. It has been described as something in between Twitter and Blogger (note: Williams helped launch Blogger.com in 1999). Click the green “Start Writing” button in the middle of the page. Check your inbox and click the link to verify your email address. Click “OK” on the confirmation dialog. You’ll need to access your medium.com blog using a supported browser like Chrome, Firefox, or Safari. Note that Medium does not support writing from mobile devices yet. You are now cleared to write! Though I recommend you self-host your own WordPress blog (as mentioned above) it can still be beneficial to establish another blog presence on a network like Medium that is already popular and already has a built in audience… just don’t make it your sole platform. Tumblr is a relatively new but very popular free blogging platform. It is considered a ‘short form’ blogging platform, sort of a mix between a blog and a social network. As of this writing, the home page proudly states: 305 million blogs, over 80 billion posts, but only thirty seconds to join. Simply enter your best e-mail address, a username and a password on the home page. Then you are all set. You’ll then be asked how young you are, and invited to approve the site’s Terms of Service. It has a Twitter-like feel to it, and is mobile phone ready, actually prompting you to download its Android, Windows Phone or iOS (Apple) app. Their claim of being able to sign-up in 30 seconds is fairly accurate. All of the above free blogging platforms are functional and easy to use. Each has strengths and weaknesses, but it’s mostly about your goals and what you need to accomplish through this new medium. WordPress and Blogger are more established and cater to people looking to express themselves in more detail. Tumblr and Medium are more social media-oriented, so if you favor the quick hit and building a community, they might be better choices. If you can’t decide on one and have the time to experiment, why not try all four platforms? Use all four to initially get started, and measure the audience reaction, functionality, and special features that each platform possesses. Starting a free blog to help fulfill your personal and social objectives has never been easier. If you’re more interested in using a blog for your business or to make money online, you may want to consider using a premium host for your blog.